Sunan ibn Majah to the list. Since then, they have enjoyed near-universal acceptance as part of the official canon of Sunni Islam. Not all Sunni Muslim jurisprudence scholars agree on the addition of Ibn Majah. In particular, the Malikis and Ibn al-Athir consider al-Mawatta' to be the sixth book. The reason for the addition of Ibn Majah's Sunan is that it contains many Hadiths which do not figure in the other five, whereas all the Hadiths in the Muwatta' figure in the other Sahih books. Islam in the second year of the Hijri calendar, or 623 CE. According to Al-Muwatta, he was tall, heavyset, imposing of stature, very fair, with white hair and beard but bald, with a huge beard and blue eyes. In chronological order his work was compiled even earlier than Sahih Bukhari, therefore Al-Muwatta is highly regarded in Islamic literature. 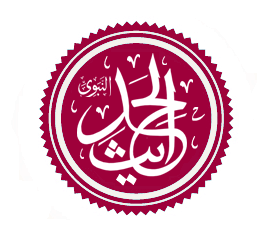 Anas ibn Malik ibn 'Amr, al-Imam, Abu 'Abd Allah al-Humyari al-Asbahi al-Madani". Sunnah.org. Retrieved 2010-04-10.